News can happen anytime and anywhere. Now you can stay on top of the latest news no matter where you are. 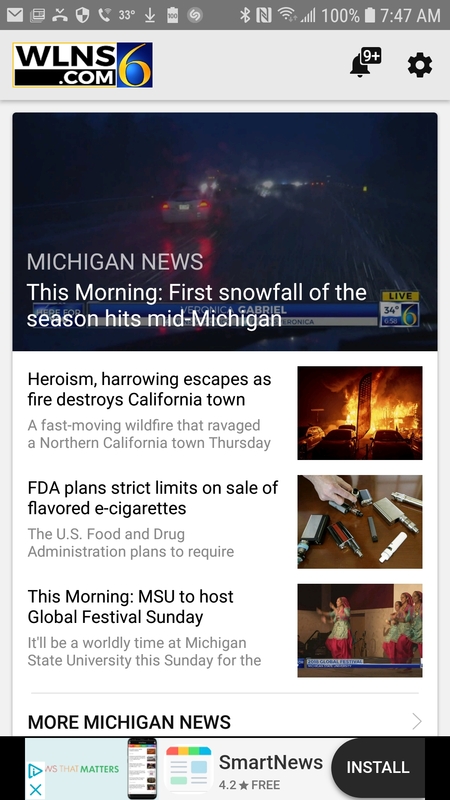 Get breaking news, video and livestreamed newscasts at your fingertips. This free app is available for smartphones and tablets. Stay ahead of the weather no matter where you are or what time it is with the StormTracker 6 Weather app. Get up-to-the-minute weather updates, video and forecasts for where you are or wherever you are going. Available for smartphones and tablets. Get your free StormTracker 6 Weather app today!